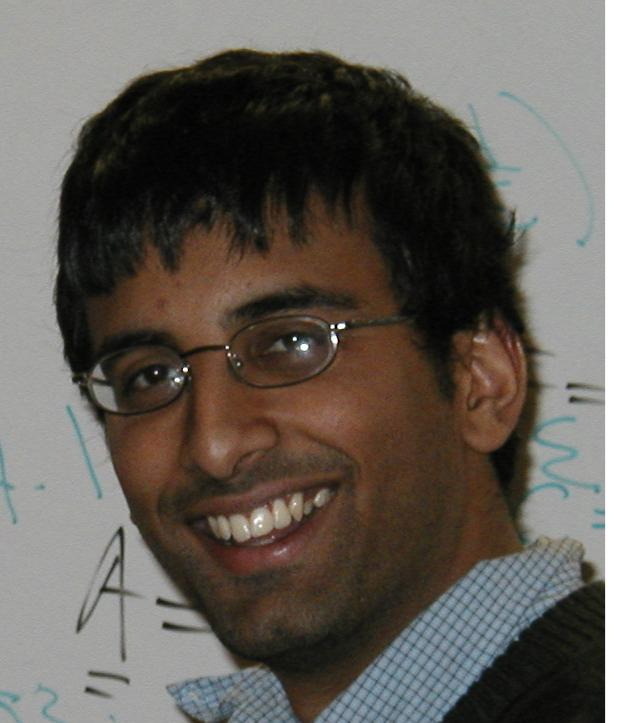 Akshay Venkatesh completed his undergraduate degree at the University of Western Australia, Perth, and received his PhD from Princeton University in 2002 under the direction of Peter Sarnak. His mathematical interests center around number theory and automorphic forms. He is particularly interested inequidistribution questions on homogeneous spaces, and the interplay between ergodic and spectral techniques. Akshay was appointed as a Clay Research Fellow for a term of two years beginning 2004.